Adding contributions to your 401(k) or other salary deferral type retirement account can be an effective way of ramping up your retirement nest egg. Consider that for 2018, you can defer up to 100% of your compensation, as long as the amount does not exceed $18,500 for 2018/$19,000 for 2019, plus an additional $6,000 catch-up contribution if you are at least age 50 by the end of the year. The compound effect of tax-deferred growth – potentially tax-free in case of a Roth account- makes savings in these accounts even more attractive. But be careful! While contributing to your 401(k) account can be beneficial, exceeding the statutory limit could cost you a lot. So, it’s important, to make sure that your contributions do not exceed the statutory limits. This is usually easy to do when you have one account to monitor, but becomes a bit challenging when more than one account is involved. As you wind down your retirement and tax planning tasks for this year, and get ready for the new year, consider the following strategies if you have multiple 401(k)s. For the purpose of this article, use of the term 401(k) will include 403(b) and Thrift Savings Plans (TSP). One of the first rules of deciding how much to contribute to your 401(k) account, is finding out how much matching contribution you will receive from your employer. The bigger your contribution, the bigger your match, up to a certain amount. Example: Company A makes a matching contribution to eligible employees, using the following formula: 100% Match- up to 5% of compensation. John’s compensation is $125,000 per year. If John wants to receive the maximum match amount of $6,250 ($125,000 x 5%), he must make a salary deferral contribution of at least $6,250. If John’s salary deferral contribution is only $5,000, then his matching contribution would be $5,000, and he would have missed out on receiving $1,250. These matching contributions add up over the year. Important: An employer matching contribution is nice if you can get it. But like any other financial expenditure, your salary deferral contributions should be part of your budget to ensure that they are within the limits that you can afford. According to the Bureau of Labor and Statistics, there were 152,076,000 workers in 2017, and of that amount, 4.9 percent held more than one job . That percentage has remained consistent for the past 8 years except for 2016 when it was 5% . If you are one of the over 7 million who have more than one job, you could have the opportunity to make salary deferral contributions to more than one 401(k) plan. When doing so, you must take care not to exceed the statutory limit of $18,500 for 2018/ $19,000 for 2019, plus any catch-up contributions for which you are eligible. This is a ‘per person’ limit. Therefore, even if you contribute to more than one 401(k) plan, you are subject to one $18,500/$19,000 limit. If you participate in a governmental 457(b) plan, you may defer up to 100% of your compensation, up to $18,500 for 2018/ $19,000 for 2019, plus catch-up contributions of $6,000 if you are eligible. This is in addition to (separate from) any salary deferral contributions that you make to a 401(k) plan. The maximum amount you may defer to a SIMPLE IRA is $12,500 for 2018 and $13,000 for 2019, plus a catch-up contribution of $3,000 if you are at least age 50 by the end of the year. If you make salary deferral contributions to multiple SIMPLE IRAs, or a SIMPLE IRA and a 401(k) plan, your total salary deferral contributions cannot exceed $18,500 for 2018/ $19,000 for 2019, plus catch-up contributions of $6,000. Note: This does not include salary deferral contributions to a governmental 457(b) plan. 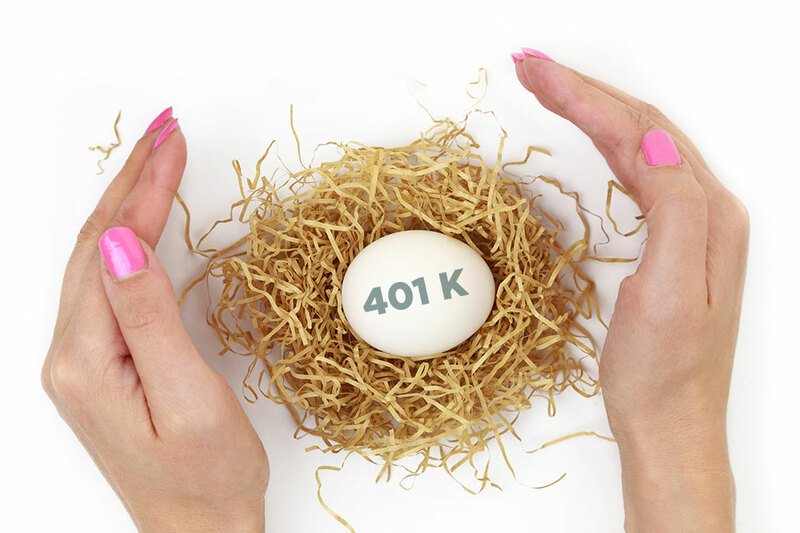 If your employer’s 401(k) plan includes a Roth feature-ADD COMMA you can split your salary deferral contributions between your traditional 401(k) and your Roth 401(k) accounts, or contribute the entire amount to one of the accounts. Any matching contributions that your employer makes must be deposited to your traditional 401(k), as the only type of ‘new money’ that can be contributed to a Roth 401(k) are salary deferral contributions. If you operate your own business, you could add even more to your retirement nest egg through a Solo 401(k) Plan. Your Solo 401(k) contributions can be up to 100% of eligible income you receive from your business, as long as the amount does not exceed $55,000 ($56,000 for 2019). If the plan document permits, you may even treat all or a portion of the amount as after-tax contributions which can then be converted to a Roth 401(k) account under the plan, creating a mega Roth account. Contributions to your traditional 401(k) reduce your taxable compensation for the year, and the amount remains tax-deferred, until distributed to you or your beneficiaries. But, if the contributions exceed the limits provided above, the excess amount are not eligible for tax-deferred treatment, and must be distributed as a return of excess contributions. The deadline for correcting an excess deferral for a year is April 15 of the following year. This means that an excess deferral for 2018 must be corrected by April 15, 2019. Employees with excess deferrals must notify their employers by March 1 of the following year, so that the excess amount can be distributed by April 15. If you have an excess deferral that is not corrected by the deadline, you will be taxed twice on the amount. Example: 45-year-old Jane works for Employer 1 and Employer 2, both of which offer 401(k) plans. 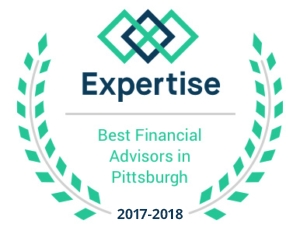 For 2018, Jane made pre-tax 401(k) salary deferral contributions of $18,500 to Plan 1 and pre-tax salary deferral contributions of $10,000 to Plan 2. A total of $28,500. Since the amounts were pre-tax, Jane’s taxable salary was reduced by $18,500 for Employer 1 and $10,000 for Employer 2 on her Forms W-2. However, Jane’s contribution limit is $18,500, which means that she made an excess contribution of $10,000. Jane must notify one of her employers about the excess and submit instructions to have the amount returned to her, or she can split the amount between both employers, if both Plans allow for return of excess contributions. The notification must be provided by March 1, 2019. Assume that Jane submits the correction request to Employer 2; $10,000, along with any applicable earnings would be returned to her by April 15, and her 2018 taxable compensation would not be reduced on her W-2 (it would be taxable income for 2018). The distribution of the corrected $10,000 would be nontaxable. However, any earnings would be taxable, for the year in which the correction is made. If the correction is not made by April 15, 2019, the $10,000 would still be included in her income for 2018, and would also be included in her income whenever the amount is distributed, resulting in her paying income tax on the amount twice. Year end is a good time to review your W-2s and other contribution related documents, to ensure that your contributions are within the statutory limits. Doing it now also allows you sufficient time to notify your employer, so that timely corrections can be made.